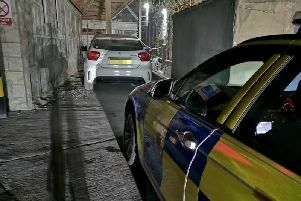 Derbyshire Roads Police seized the vehicle of a ‘chancer’ who was driving in South Normanton while banned. Officers swooped on the BMW after the driver pulled out in front of them in a residential area and stalled. The driver initially gave them ‘false details’. But checks revealed they were banned from driving with no insurance.